Don't miss out on my latest product releases! Join my list and be first to know... and get a 10% off coupon! John Kapos, aka “Chocolate Johnny” is a small business owner and social media expert who leverages the power of live-streaming platform Periscope, takes his followers behind-the-scenes on Snapchat and shares his passion for his customers on Instagram. Chocolate Johnny is a third-generation chocolatier and businessman. Hailing from Sydney, he was an early adopter of the online world. He is constantly keeping up with the latest trends and developments in social media, and knows how to convert that into business success. If you’re a brick and mortar store trying to figure out how to use social media to reach new customers, then you’re in the right place. 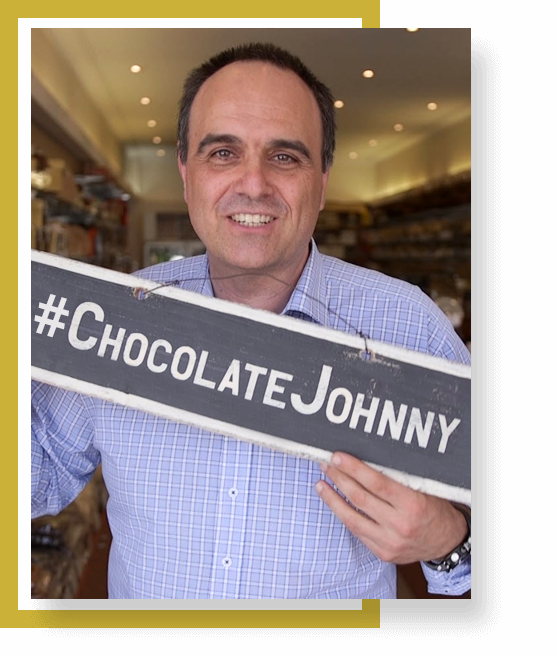 Chocolate Johnny has carried his family business, Perfection Chocolates, to new heights by leveraging Live Video and other social media channels, to reach an entirely new audience. Whether it’s showcasing chocolates and sweets, talking to customers or tackling customer’s questions, Periscope has offered endless opportunities to enhance the customer experience. Learn more about how Chocolate Johnny can help your business. Sign up to be the first to know when my Live Video, Facebook and Instagram courses for small business are ready to launch! The VIP Day is focused exclusively on you and your business. “I absolutely love connecting with our customers and fans on social media. 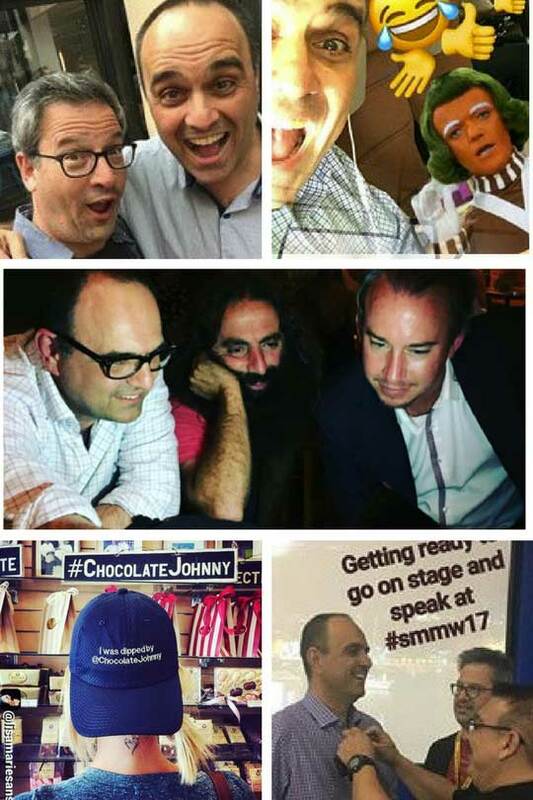 You can find me on Periscope, YouTube, Instagram, Facebook, Snapchat… You can find me anywhere – just search for @ChocolateJohnny #chocolatejohnny #perfectionchocolates.